Sharing a new layout made with my Pink Paislee Oh My Heart collection today! DESCRIPTION: I needed a stitching project to work on during our drive down to Italy and back so this is what I came up with! Sorry there isn't a process video for this one - next time for sure!! JOURNALING SAYS: So lucky to be your mom and call you mine! You help me realize the true purpose of my life and I love you! 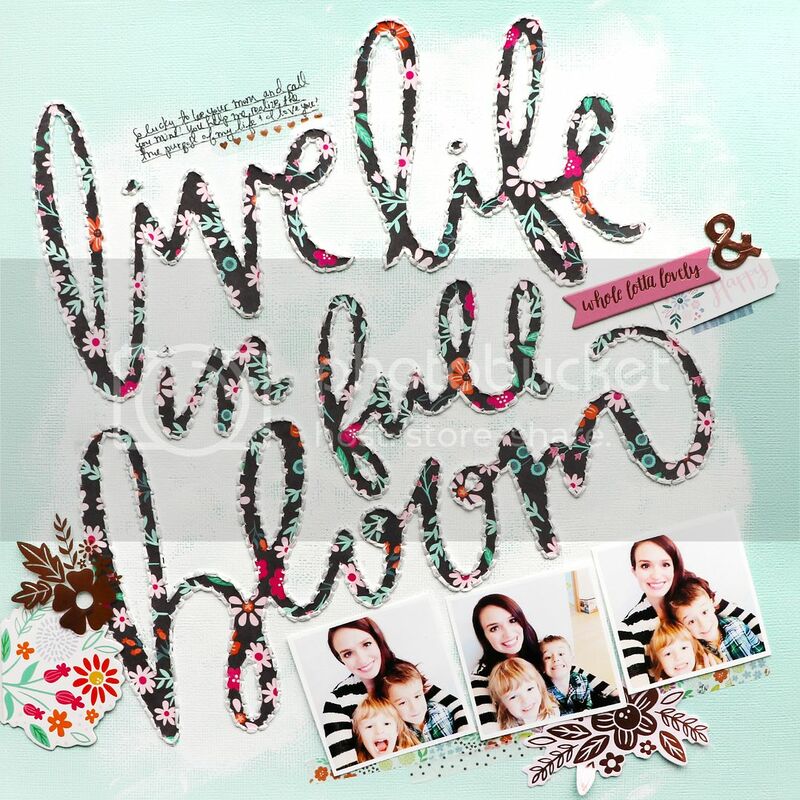 HOW TO: Die cut a modified Live Life in Full Bloom cut file from the B side of Paper 18 then use spray adhesive to affix it at an angle to robin's egg blue cardstock that has been smudged with white paint. Carefully pierce holes around the die cut then back stitch using white thread to add texture and detail. Adhere a trio of photos at the same angle below the title. 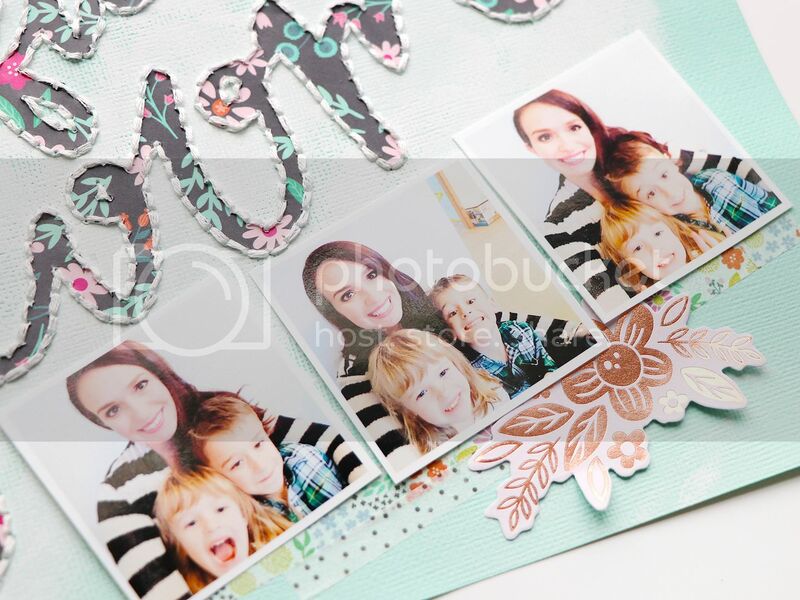 Place washi tape strips under the photos along with a foiled floral die cut. 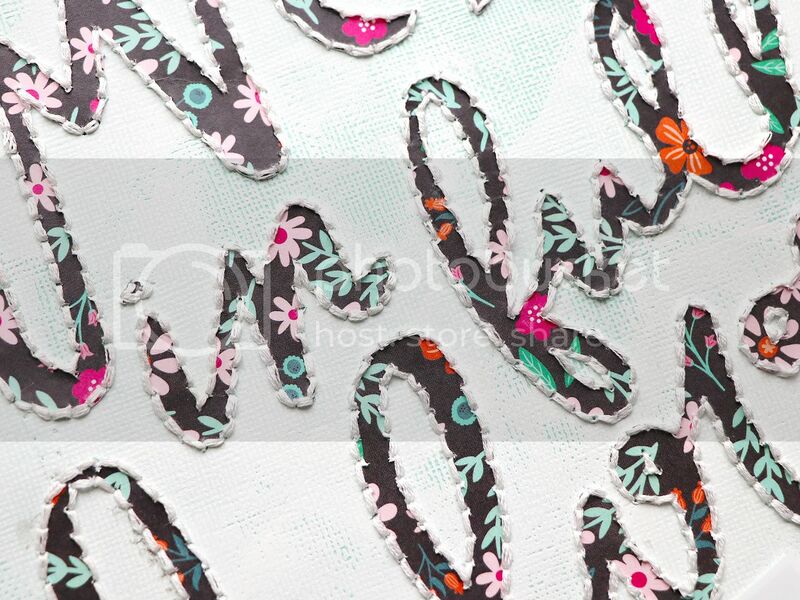 Place a chipboard floral sticker and foiled floral sticker (I stuck it on a transparency first then fussy cut it out to make a "die cut") on the left. 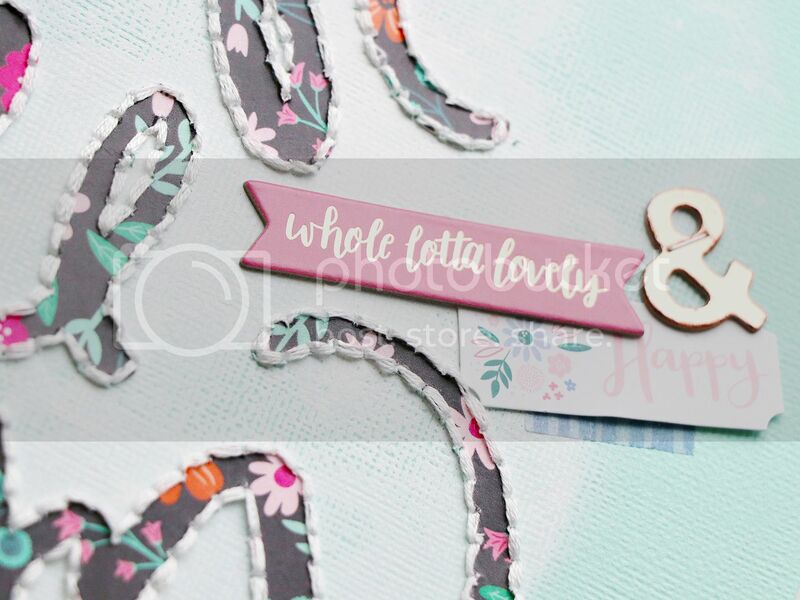 Create a cluster on the right with an ampersand chipboard sticker, "whole lotta lovely" chipboard sentiment sticker, "Happy" ticket sticker, and a small piece of washi. 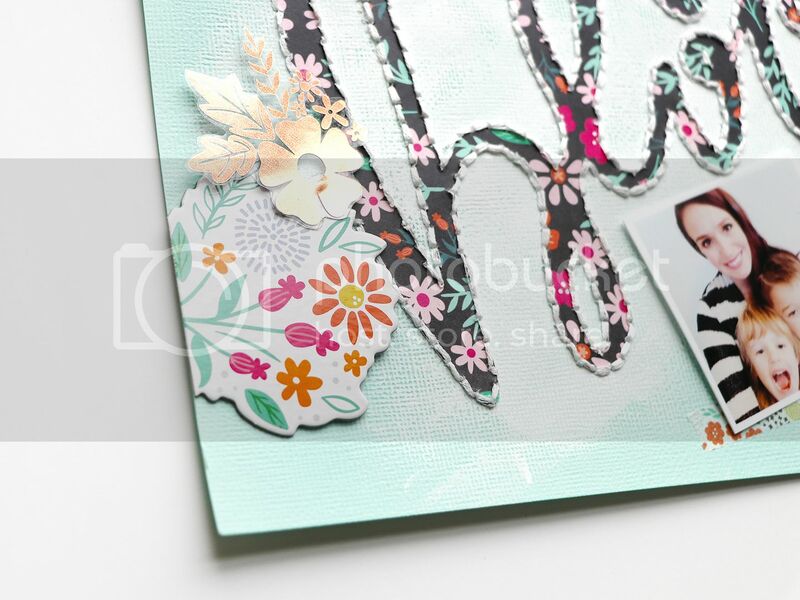 Journal above the title and add a transparency foiled hearts sticker below. I have said it before, and I will say it again ... you are amazing! I loveeeeeeeeeeee this! LOVING the title work and the stitching ... and loving those photos too!!!!!!!!!!!! Your page is perfect. I love the title, pictures and of course stitching! Oh my!! This is ABSOLUTELY beautiful!! WOW! !